Collection includes twelve studio albums, one EP, and also tree compilations: "Please" (1986); "Actually" (1987); "Introspective" (1988); "In Depth" EP (1988); "Behaviour" (1990); "Discography" (1991); "Very" (1993); "Bilingual" (1997); "Essential" (1998); "Nightlife" (1999); "Release" (2002); "PopArt" (2003); "Fundamental" (2006); "Yes" (2009); "Elysium" (2012); and "Electric" (2013). 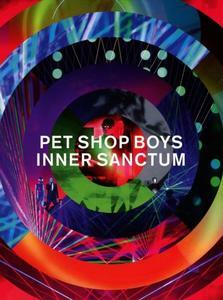 Released on DVD, Blu-ray and CD, the film and audio of the show ‘Inner Sanctum’, filmed at London’s Royal Opera House during a sold-out run in 2018. Staged by designer Es Devlin and choreographer/director Lynne Page, the show was filmed by director David Barnard and will be released on 12 April 2019. The full-length film on DVD and Blu-ray is accompanied by two CDs of the complete audio of the live show. A LANDMARK REISSUE OF THEIR PARLOPHONE STUDIO ALBUM.. ‘Release’, featuring Johnny Marr on guitar, which entered the top ten in the UK album charts on its release in 2002 is seeing a remastered issue. It also comes with two ‘Further listening’ albums of additional tracks, including unreleased songs ‘Motoring’, ‘The night is a time to explore who you are’, ‘Run, girl, run’ and ‘Reunion’, as well as previously-unreleased John Peel versions of ‘A powerful friend’ and ‘If looks could kill’ and a previously-unreleased cover version of Gilbert O’Sullivan’s ‘Alone again, naturally’ featuring Elton John. 3CD set. Remastered in 2017, and reissued with 23 BONUS tracks of B-sides, remixes, demos, live recordings and rarities! 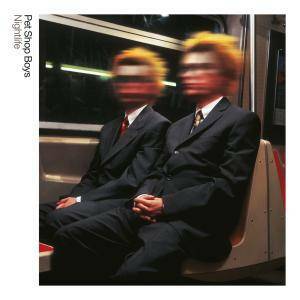 Throbbing 1999 album features "New York City Boy" and "I Don't Know What You Want But I Can't Give It Any More". Cameo by Kylie Minogue. 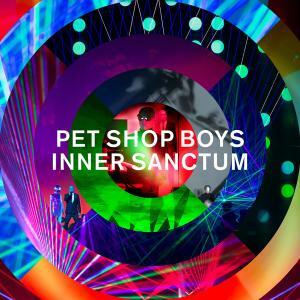 'Fundamental' is their magnificent Trevor Horn-produced album which made the top ten in 2006. As well as the remastered original album original track-listing, there’s a 22-track “Further listening” album of additional material including demos of unreleased songs such as ‘Ring road’, ‘One-way street’ and “Dancing in the dusk”, alongside previously-unreleased mixes and remixes. 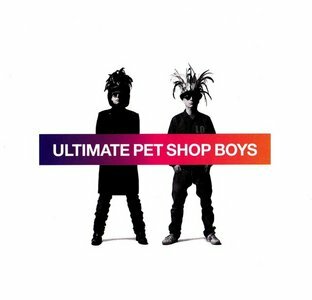 Ultimate is a greatest hits compilation album by UK electronic music band Pet Shop Boys. 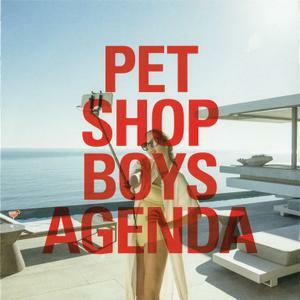 It is their third greatest hits album, released on 1 November 2010 by their long-time label Parlophone. The album contains 18 previously-released singles, in chronological order, and one new song ("Together"). 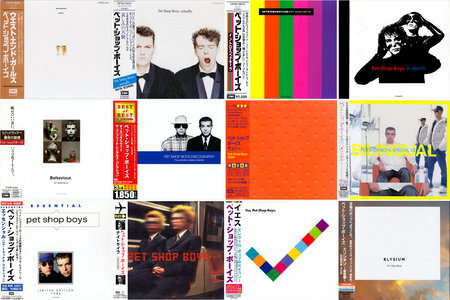 Ultimate was released to celebrate 25 years since the band's first single release "West End Girls" in standard single-CD and expanded CD/DVD configurations. 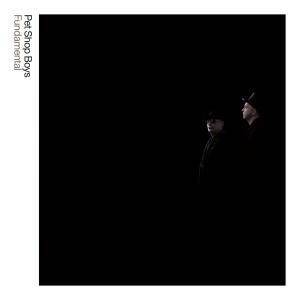 It charted at #27 on the UK Albums Chart on 7 November 2010 and at #50 on the European Hot 100 Albums on 20 November 2010. In addition to the hits, the deluxe package also includes a DVD with previously unreleased performances from the BBC as well as their 2010 headlining performance at Glastonbury. 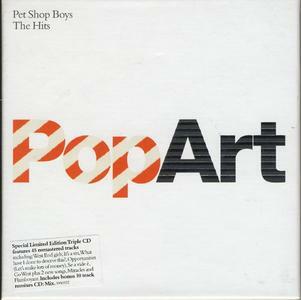 PopArt: The Hits is a greatest hits album by English synth-pop duo Pet Shop Boys. 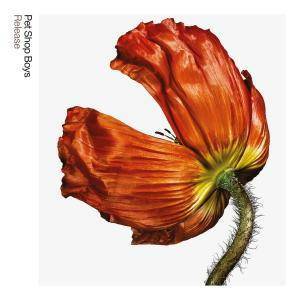 It was released on 24 November 2003 by Parlophone. Special Limited Edition Triple CD features 45 remastered tracks. Includes bonus 10 track remixes CD: Mix.